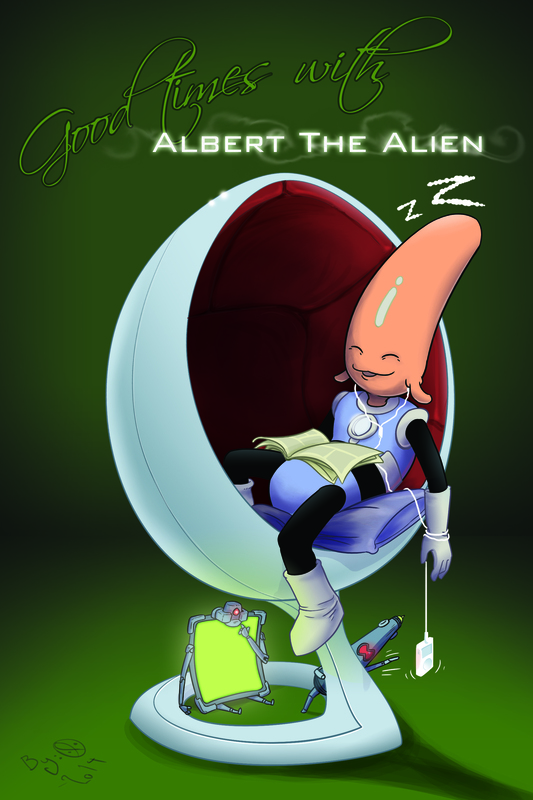 Today’s amazing Albert the Alien “summer break” artwork is from long-time Gabo flatter Spitfire (that’s their actual artist name). Not only is she skills at flatting, but she can also do some mighty fine artwork and coloring herself! I love this image of Albert lounging and enjoying a lazy day of reading comics and listening to music (a typical day when you get time to yourself, am I right? ), but then unknown danger lurks below him as the evil alien school supplies attempt to mess with his day! They’re so DEVIOUS! If you enjoy Spitfire’s work, here’s where you can find some more of it!